Subscribing to a Harley magazine or checking out some of the great books written ideal for finding information on improving your Harley’s performance. Many biker and Harley magazines provide tips and how-to articles you can apply to your own bike, as well as new ideas and the latest products. American Iron magazine and Street Chopper are some favorite Harley magazines of mine along with the other great magazines listed below. 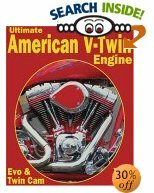 While there are many Harley Davidson performance books on the market, there are a few I have listed below that I find outstanding. When it comes to the ABC’s of Harley maintenance and repair both Clymer and Haynes, long known for their expert repair manuals are excellent choices. Finally, browsing through a Harley parts catalog is another great source for picking up performance ideas for your ride. Best part is that many catalogs are free! 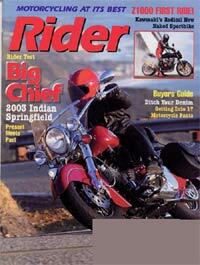 Click Here to save up to 80% on more motorcycle magazines! 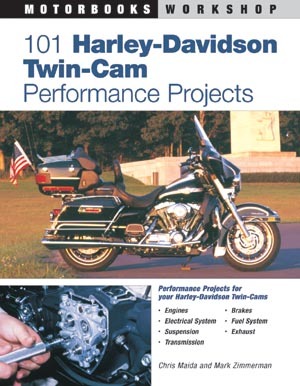 101 Harley-Davidson Twin-Cam Performance Projects From the Publisher This book consists of 101 projects to boost the performance of Harley-Davidson Twin-Cam engines. 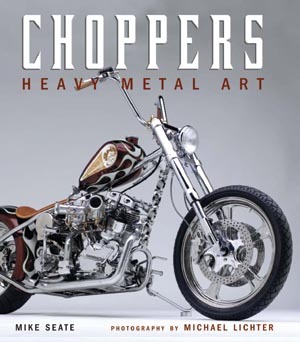 The book is broken out into projects that concentrate on specific aspects of the motorcycle, including engine, suspension, transmission, exhaust, brakes, and body. more… From Harley-Performance This is one of my favorite books, with simple to follow instructions and plenty of ideas to spark a few of your own.